Attracting new customers is a usual test for any business. Keeping the current ones is another challenge. An expert says a business can hit two birds in one stone by rolling out a loyalty/rewards scheme. Q: I’ve been in the laundry business for close to a year now but I’m still finding it difficult to get customers to come back regularly. Any ideas on how I could convince them to become regulars? A: Everyone loves a good reward. Whether it’s getting a free planner with your cup of coffee, or free dinner by using your credit card, rewarding customer loyalty is good for both business owner and customer. All it takes is a stamp, sticker, swipe, or in some cases, scanning a barcode with your smartphone. It’s easy for a business to simply offer discounts to attract customers. If you’re trying to get rid of a surplus in your inventory or want to avoid spoilage, discounts may work. But Ilao says, loyalty cards are better used to bring customers back. “If you offer too many discounts, customers will learn only to buy from you when you have a sale. 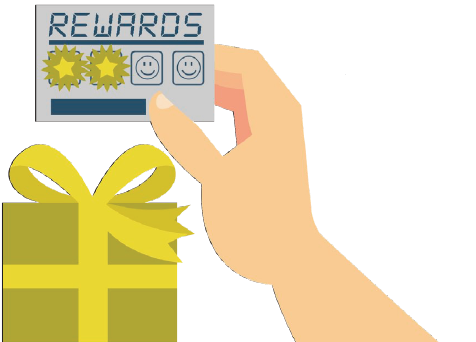 A loyalty reward system works best with retail businesses, with a physical product that customers can receive. But for those in the service industry such as spas, facial centers, laundry centers, and the like, “what they should instead do is give out vouchers.” Give one, for example, worth P500 that they can use for a treatment or procedure on the next visit. Ilao says the only thing businesses need to watch out for when implementing a loyalty card system is “to make your reward system attractive. Don’t give them something that’s very hard to complete. For instance, if you ask them to complete a set of stamps on a rewards card, give them something on the very first stamp. Just get them to start the card. Once they start on the card, they are likely to complete it. This article was originally published in the March 2013 issue of Entrepreneur magazine.